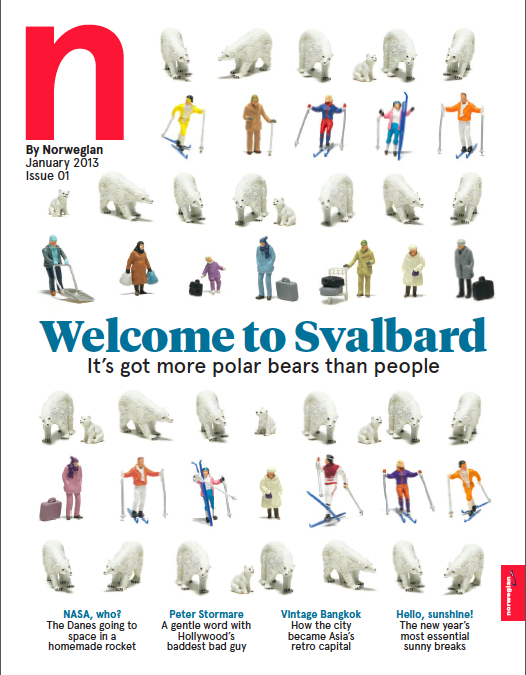 Published in N by Norwegian in-flight magazine, January 2013. Original article here. “We love coming to London!” Katzenjammer are all grins and cheer as we meet backstage at the Islington Academy, just an hour before they are due to play the sold-out venue upstairs. There’s little about the cramped, stark dressing room to suggest what a roaring, raunchy show that Anne Marit Bergheim, Marianne Sveen, Solveig Heilo and Turid Jørgensen will deliver in just a moment. The Norwegian band has a Bavarian beerhouse folksy pop sound, with a hint of circus, delivered on a myriad of instruments. 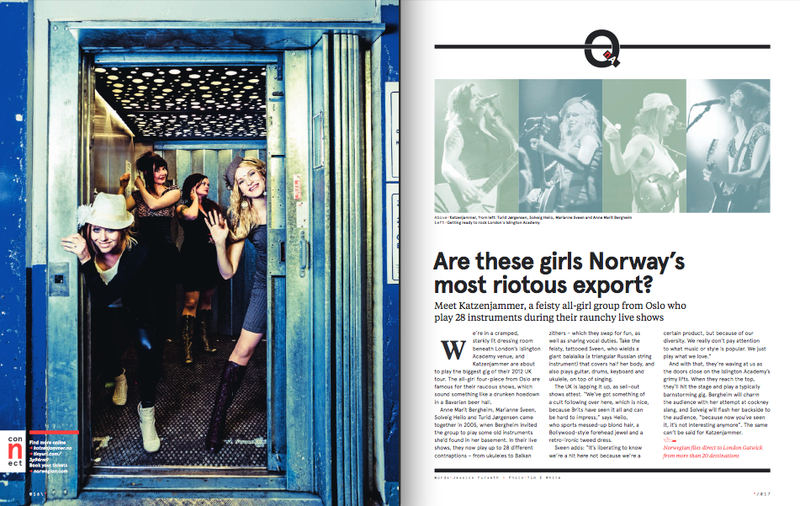 And Katzenjammer’s definition-defying brand of quirk is like catnip to the Brits. Katzenjammer will continue to push on with its British invasion, because as Anne Marit says, eyes poking out under a heavy fringe: “The world is a tempting place”. There’s little cheek to be found in the the four friendly and thoughtful women while in the dressing room, but this will change; some sort of transformation is clearly about to happen. Soon Anne Marit will charm the audience with her attempt at Cockney slang, and Solveig will flash her backside to the audience “because now you’ve seen it it’s not interesting anymore”. The same can’t be said for Katzenjammer. Posted on 03/15/2013 by Jess. This entry was posted in Feature interviews and tagged katzenjammer, music, n by norwegian, norway. Bookmark the permalink.